Tournament case. We print your text, name or Initials. Imprinted with your text, you´ll create your individual Dartbox or you receive an extraordinary gift for many occasions. We print your text in different colors directly on the box. For an extra charge we can also print logos, insignia, graphics or photos. Please ask for details. If you have no input option, simply send the print data via e-mail. (Text and font). 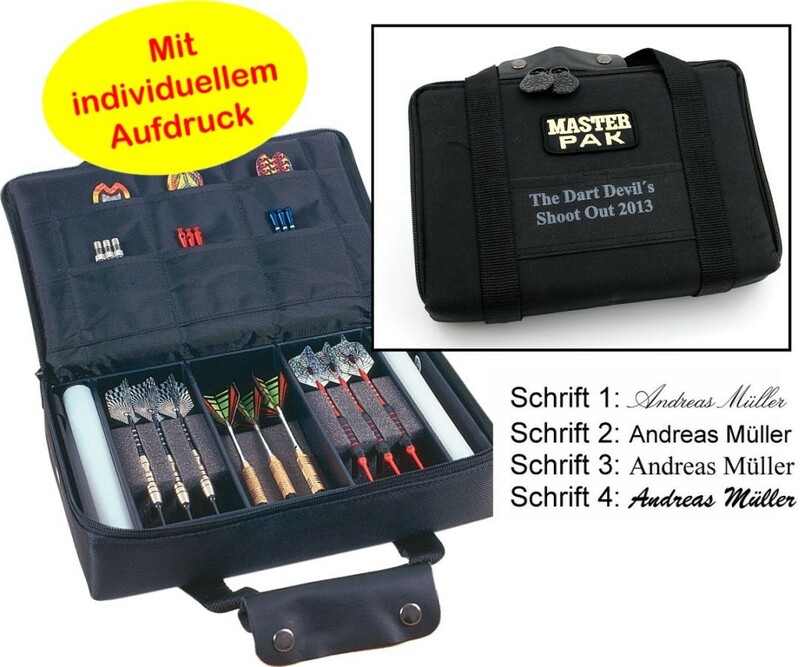 Master pak holds 2 (4) sets of darts, many accessories and two tubes for spare tips.